Nights At The Roundtable with The Small Faces in session at The BBC 1966 and 1968. 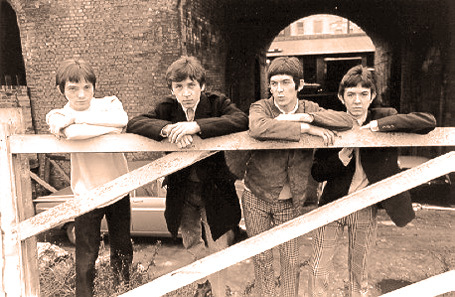 With the big exception of Itchykoo Park, Small Faces didn't catch on in the U.S. during their heyday from 1965 to 1968. I could never understand that. They were nothing short of phenomenal and Steve Marriot had one of the greatest voices every to grace a microphone. Fortunately things changed when Small Faces morphed into Faces and Steve Marriot left for other pastures with Humble Pie. But it's those beginnings and that formative period of the bands evolution that is so exciting to listen to, even today. Fortunately too, with time Small Faces have grown substantially in stature and much, if not all their material has seen the light of reissue in some form or another. And for that a whole new generation of fans gets to become acquainted. So tonight I thought I would put up some of their session recordings for the BBC which they did between 1965 and 1968. This batch of three songs comes from the 1966 and 1968 period. Memorable and still sends shivers. You know it's good when it does that.